Exactly a month ago, as Seahawks coaches and scouts were on their way to the NFL combine, I rated the team’s position groups in order of those that needed the most help to those that needed the least heading into free agency and the draft. A month later, and with NFL teams through the first wave of free agency, I thought I’d revise the rankings and recap where each position stands as attentions turn to the draft. The Seahawks have never been overly active in free agency — at least not since 2013 — and the Seahawks stayed true to form this year, signing just two players who were on other teams last season (kicker Jason Myers and guard Mike Iupati). Why haven’t they done more? The contracts that cornerback Justin Coleman ($9 million average per year) and defensive tackle Shamar Stephen ($4.15 million per year) received may have been a little higher than the Seahawks anticipated, giving the Seahawks a better comp-pick situation than they might have thought they’d have going in (fourth and sixth rounders, respectively, for Coleman and Stephen, with Earl Thomas equating to a third-round pick and Brett Hundley a seventh rounder). That the Seahawks suddenly found itself with a potentially good bounty of picks in 2020 — making for potentially 11 picks — might have made the team even more cautious about its free-agent spending and weighing even more closely the advantage of making a signing that might impact the number of picks it could get. Those picks can’t be traded now. They don’t become official until next spring. But the knowledge that they likely have those picks coming can give the Seahawks some flexibility heading into this year’s draft and the rest of the offseason. (UPDATE: Those picks CAN be traded once they are officially awarded. Jason La Canfora of CBSSports.com wrote Friday about the impact of teams hoarding comp picks on the slowing of free-agent signings after the first wave. So the Seahawks are not alone in trying to max out on comp picks). The Seahawks will undoubtedly make more signings along the way, and oftentimes ones made later make as much impact as those made now (such as the signing last August of J.R. Sweezy after he became available when he was released by Tampa Bay). As Seahawks general manager John Schneider always says, while fans and media may focus on specific events such as the draft and free agency, the roster-building process never really starts or ends — it’s there 365 days a year. Even if there’s a perception the Seahawks didn’t do a whole lot, they have gone from having an effective cap space of just over $48 million when March began to $12.309 million as of Thursday (23 NFL teams have more). 1. Wide receiver — No. 2 on our list before, receiver rises to No. 1. There was already a concern about Doug Baldwin’s health heading into the offseason. Now there is even more reason for worry with the news this week he may have a sports-hernia surgery in April on top of offseason surgeries on his shoulder and knee (though it’s worth remembering that none of this is necessarily new to the Seahawks). Seattle already seemed to be in the market for an upgrade at receiver, anyway. Jordy Nelson visited this week, and as a “street’’ free agent wouldn’t impact the comp-pick formula. Expect the Seahawks to continue to sniff around the free-agent ranks but also to take one in the draft. 2. Secondary — The secondary moves from five to two with the losses of Thomas and Coleman and no additions as of yet. But again, it’s worth noting the team appears to have planned all along that it would lose those players (it’s believed they never talked to Thomas). 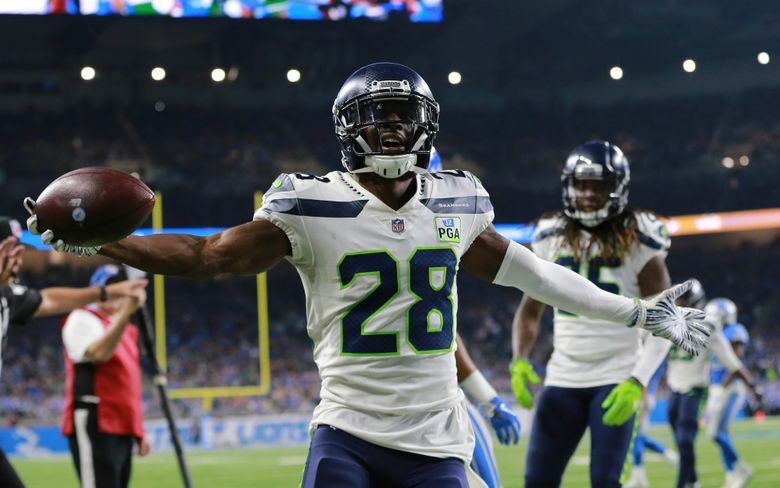 The Seahawks seem confident Kalan Reed can be a factor to help replace Coleman at nickel, and that their young safeties will continue to progress. But it’s hard to imagine the Seahawks won’t add a corner or safety or two who could help out at some point. 3. Defensive line — No. 1 before, this unit falls just a bit as Frank Clark has been tagged (though still no resolution to his long-term situation). But that was to be expected, and the Seahawks still are in the market for some pass-rush help, as evidenced by this week’s visit from former 49ers and Bears edge rusher Aaron Lynch. 4. Offensive line — No. 4 before, the line is pretty much the same with D.J. Fluker back in the fold and Iupati replacing Sweezy. But with only Duane Brown of projected starters assured of being on the roster beyond the 2019 season, adding a lineman in the draft makes sense. 5. Linebacker — No. 3 on our earlier list, this position has been apparently solidified with the Wright and Kendricks re-signings. But neither player is guaranteed to be here in 2020 (and in Kendricks’ case, his availability in 2019 is still unclear pending sentencing April 4 on an insider-trading charge). Barkevious Mingo could also be a salary-cap casualty. If a good, young linebacker were to fall into the Seahawks’ lap in the draft they might be tempted. 6. Tight end — OK, so, as I wrote a month ago, the final four spots in this list feel like a pretty big drop in need from the rest. The exact timeline of when Will Dissly will return from his knee injury remains unclear. But the fact that Seahawks have done nothing at the tight-end spot seems to indicate confidence he’ll be ready, or that they can make do with what they have on the roster. That said, this is regarded as a good draft class for tight ends and given the position’s importance in the way the Seahawks like to play, expect them to take a close look just in case. 7. Quarterback — This stays at No. 7 only because Seattle’s backup QB spot is uncertain with the loss of Hundley. Seattle signed Paxton Lynch as a potential backup in January but will undoubtedly add one or two more before training camp. 8. Running back — This also stays in the same spot. The Seahawks lost Mike Davis in free agency but have kept everyone else of note. Bringing in an undrafted FA or two for depth makes sense, but otherwise the Seahawks appear set. 9. Kicker/punter — I had this No. 9 the last time as well with the idea that this position was pretty simple to deal with. The Seahawks have a punter and snapper in the fold and just needed to sign a kicker. They did that in bringing back Myers, signing to him what is essentially a two-year contract. With Sam Ficken also on the roster, there may be no need for any additions.